The famous Dailymail.co.uk has reported that some Africans – especially from Nigeria, Cameroon, Ghana, Congo, Gabon and Senegal – are wealthy enough to spend almost £4 Million on London Property every week. According to their website, the recent outbreak of the Ebola Virus as well as the continuous attacks from insurgent group Boko Haram has led to an increase in the property sales to a lot of wealthy Africans. One of the people who spoke to Dailymail, Gary Hersham, managing director of Beauchamp Estates, revealed he has had three super-rich Nigerians enquiring about homes in the past week alone. This is despite the average person in Nigeria earning just £850 per year. Earlier in the year, Business Insider also listed DJ Xclusive as one of the “World’s Hottest Billionaire Offspring” Then he was listed as Folorunsho Alakija’s son and this time he is listed as Folorunsho Alakija’s nephew. 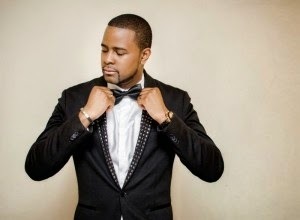 Is this another case of mistaken identity for DJ Xclusive?